Fiat also planning to export 500 from Mexico to China. The latest-generation Beetle will soon be going on sale in China. 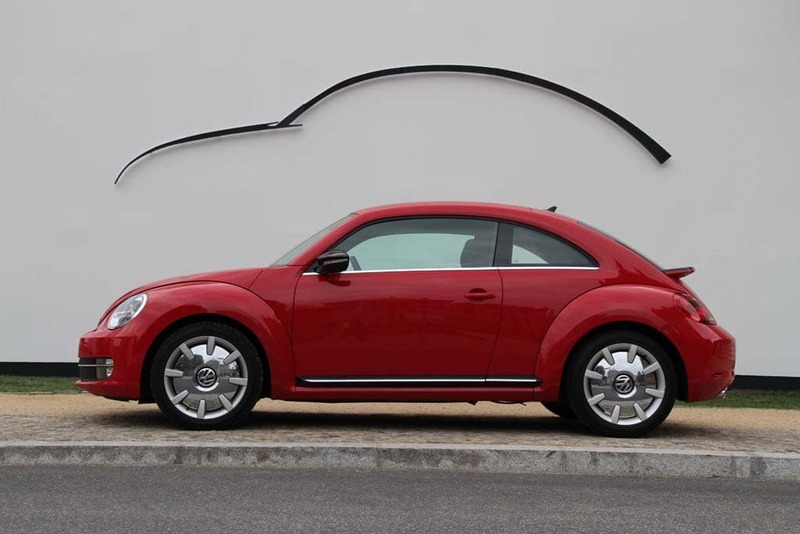 In an unusual turn, Volkswagen plans to export the new 2012 Beetle from Mexico to China. Only the third generation of the iconic VW small car, the 2012 Beetle will go on sale in the U.S. in October, then follow in markets around the world. VW officials don’t expect the latest version of the “Bug” to come close to the sales levels of the ‘60s and ‘70s but hope it will serve as a halo vehicle to build demand for the rest of the line-up. That could prove especially important in China, where Volkswagen is locked into a fierce battle for market dominance with arch-rival General Motors. VW has a large production base in China but has decided to rely on Mexico as its central source for the new Beetle rather than duplicate tooling. VW isn’t the only maker seeing opportunities to export from Mexico to China, now the world’s largest automotive market, however. Fiat is considering the same strategy for its 500 microcar. With the Beetle, Volkswagen will target markets in “high-fashion” cities along China’s Pacific Coast, such as Shanghai, Beijing, Guangzhou and Hong Kong, starting either later this year or in early 2012, the company said. While VW has sold more than 22 million Beetles around the world since the first one rolled out just before World War II, it has never marketed the Bug in China, Volkswagen representatives noted. “They’ve never experienced the Beetle,” said one VW official, who indicated the car will be marketed as a one-of-kind vehicle with a unique pedigree and its own fashion sense once it reaches China. Restrictive import rules – including stiff tariffs – have traditionally encouraged manufacturers to try to build their vehicles, where possible, inside China. That has resulted in billions of dollars of investments – with more coming. But in some cases, makers simply can’t up with the torrid pace of growth in China. In other situations, they accept paying duties on products with relatively modest demand that might not justify the cost of tooling up for production. The Beetle has been built in Mexico for decades and has been exported from there to both the U.S. and other parts of Latin America. Taking it to China helps expand the options for the facility and its relatively low cost of manufacturing helps compensate for the additional costs of shipping and duties. Mexico has, in fact, built up a massive automotive infrastructure with a variety of different makers that include Nissan, Chrysler and its Italian partner Fiat, which is using the Spanish-speaking nation as a production base for the Fiat 500 – which went on sale in the U.S. late last year. Now, the maker says, it will also start exporting the Fiat 500 from China to Mexico before the end of the year. The exports will help support the business case for the investment in the Mexican assembly plant used to build the microcar. In a new report, Marca Pais of Imagen de Mexico noted that in the first half of 2011, Mexico’s production of automobiles continued at a record pace resulting from significant demand from the Latin American market. Mexican output of cars and light trucks in the January-June period rose 14% to 1.23 million vehicles — a record for the first half of any year in history, according to the Mexican Automobile Industry Association. Auto exports, meanwhile, increased 15% during the same period, to a record 1.02 million units. “Production in Mexico is absolutely being driven by exports, and exports continue to grow,” AMIA’s President Eduardo Solis said recently. Domestic sales of new vehicles in Mexico, however, continue to lag in a market where automakers have expected to see faster growth. Sorry, GPS, but you are about 25 years too late. More than half the “Japanese” brand cars sold in the U.S. are now produced somewhere in North America. While the Europeans aren’t quite at that level a number of key German products are assembled here, such as Mercedes’ M-Class. VW is the latest to open a U.S. plant, but that followed shortly after the separate factories opened by Kia and Hyundai. The latest Toyota facility, in Tupelo, MS, is set to follow after a several-year delay. Interestingly, quality at these “transplants” has usually matched and more occasionally exceeded the levels at the home plants, abroad.